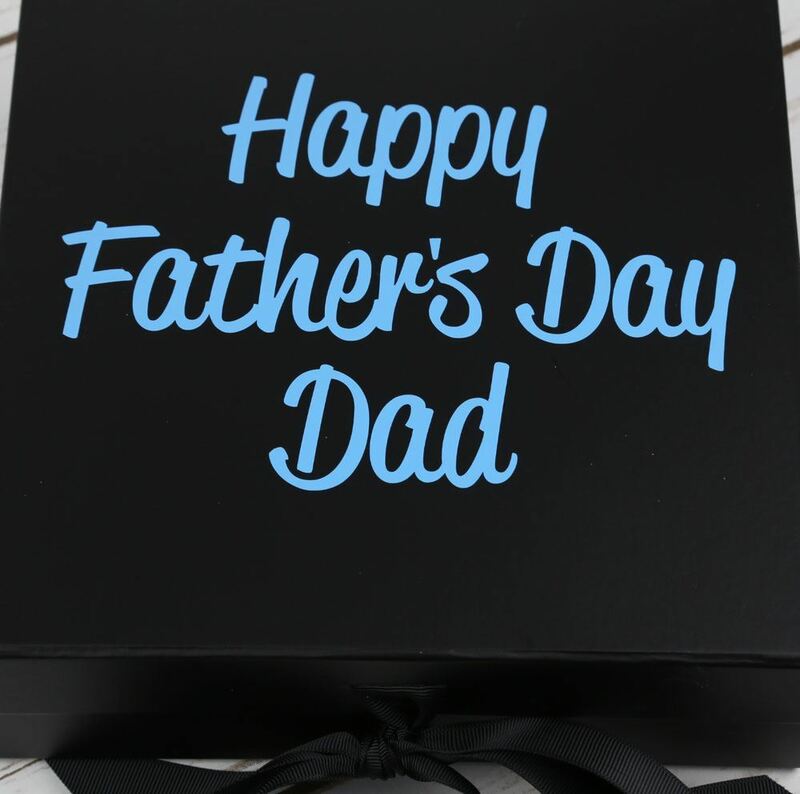 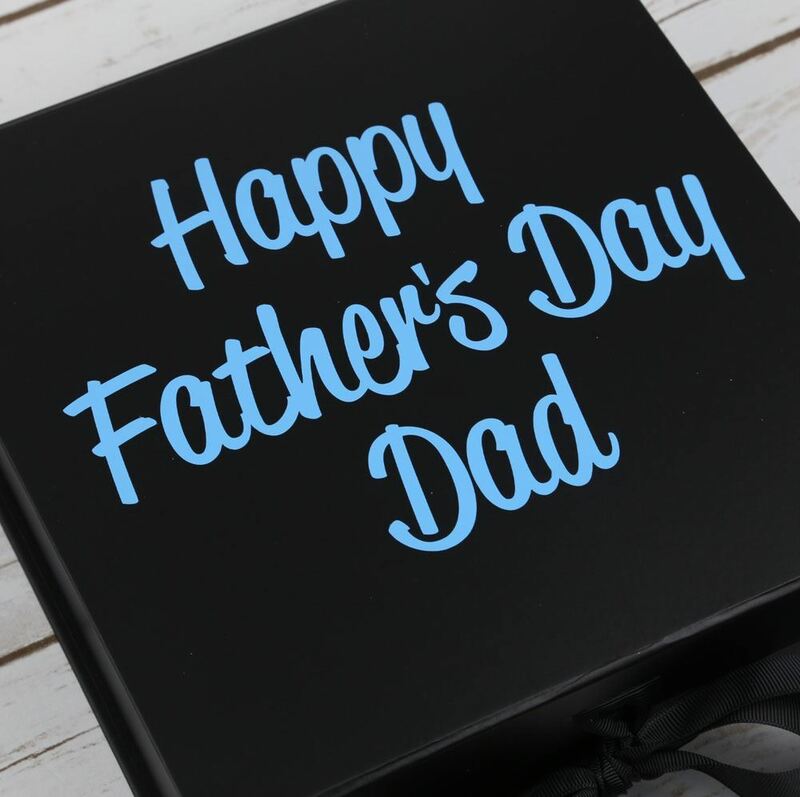 If you are looking for a box to fill with gifts for your dad this fathers day then our Fathers Day gift box is perfect. 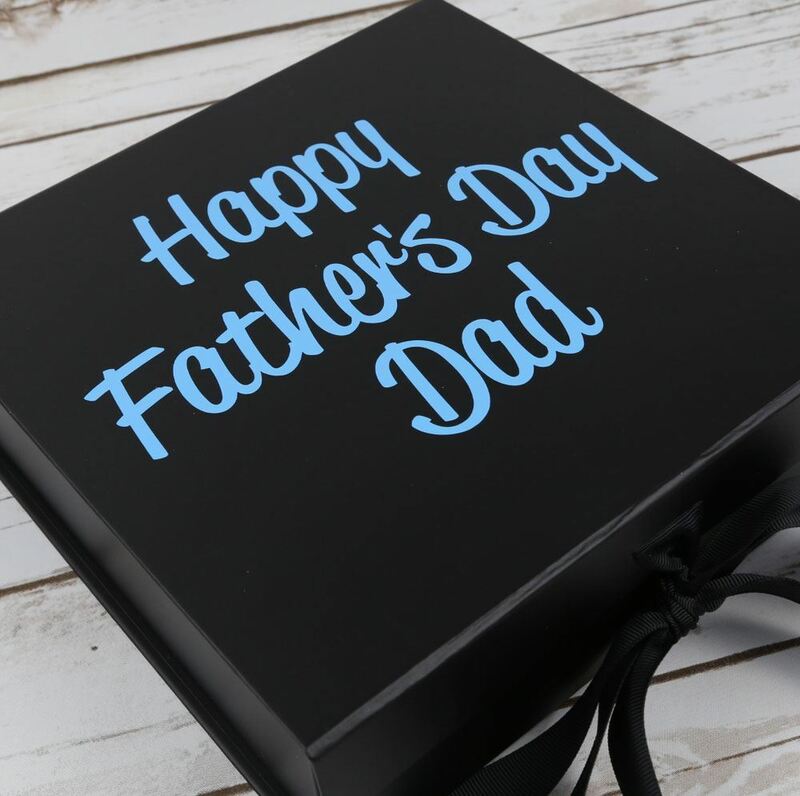 These are high quality board boxes and this one comes in black with blue vinyl wording. 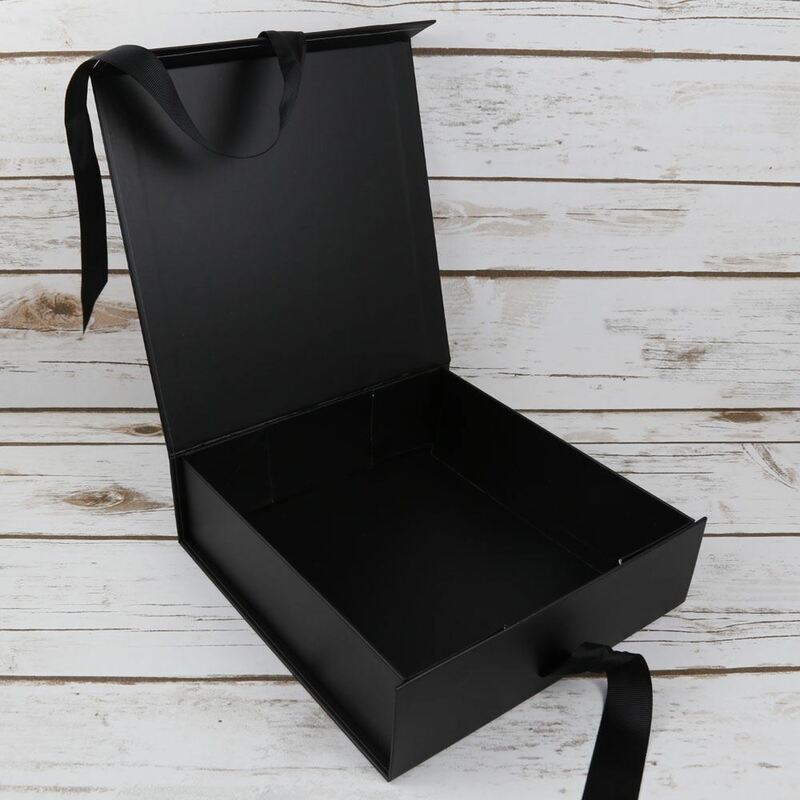 The box comes with a magnetic snap shut lid and is finished with a matching black bow. 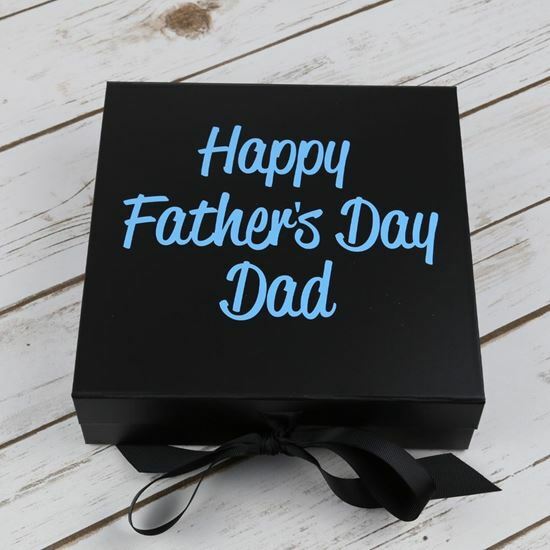 Other wording colours are available on request.